The Department of Defense plans to start building tent encampments on two military bases in Texas to house migrant families apprehended at the border. 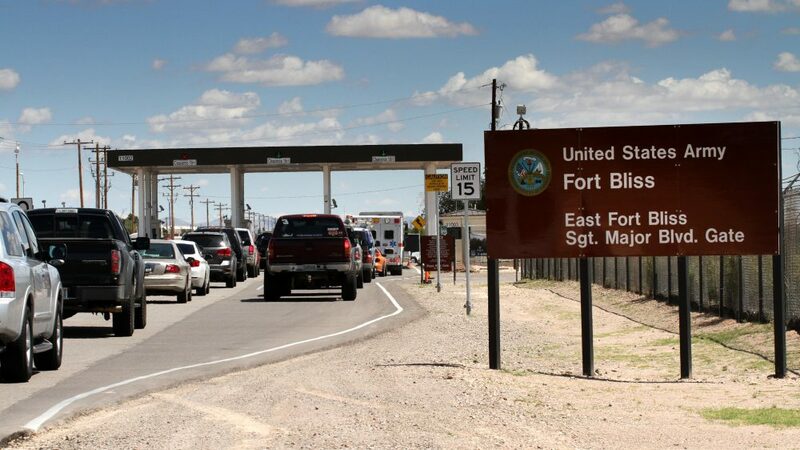 A U.S. official told NPR that a camp for families would be housed at Fort Bliss in El Paso, Texas. The Pentagon said in a statement that the Department of Homeland Security asked the Defense Department to house and care for an “alien family population” of up to 12,000 people. A U.S. official told NPR that a camp for migrant families would be located on Fort Bliss in El Paso, Texas, an Army base where migrant children were held during the Obama administration. Goodfellow Air Force Base, outside San Angelo, Texas, has been selected as a site for migrant children, the official said. Advocates criticized the decision. 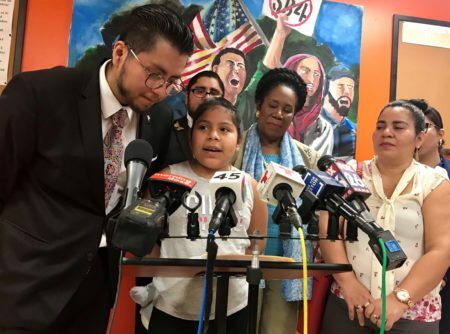 “This is the Trump administration’s next cruel plot — to imprison children and parents in military bases and tent cities,” said Lorella Praeli, director of immigration policy at the American Civil Liberties Union. “Under Trump, each new day brings forward a new attack to immigrants’ constitutional rights. 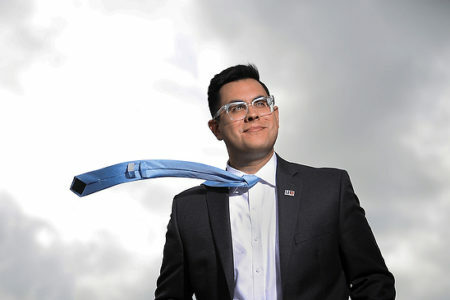 Families do not belong in detention — period,” Praeli said. DHS officials have not responded to requests for comment. According to the Pentagon statement late Wednesday, DHS specifically requested that the Defense Department identify “any available facilities” that could house migrant families. The U.S. official told NPR Thursday that Fort Bliss has identified parcels of land for large tents. The facility expects to start putting them up after July 4, and complete them by the end of the month. The military will start putting up the tents, and then turn that effort over to contractors, the official said. Goodfellow Air Force Base also plans to start putting up tents after July 4. Those tents could eventually hold up to 7,500 children, the official said. The Pentagon says DHS wants to be able to house 2,000 people within 45 days. That’s roughly the same number of migrant children who are still in government custody after being separated from their parents at the border. This week, a federal judge in California ordered the Trump administration to reunify those children with their parents within 30 days, and children under 5 years old within 15 days. Under the Trump administration’s “zero tolerance” policy, many children were separated when their parents were charged with illegally crossing the U.S.-Mexico border. This week, a federal judge in California ordered the Trump administration to reunify those children with their parents within 30 days, and children under 5 years old within 15 days. The children were separated when their parents were charged with illegally crossing the U.S.-Mexico border. The ACLU, which brought the lawsuit in federal court against family separation, and other immigrant rights advocates say the administration has another option: It could release these migrant families into the U.S. to wait until their cases can be heard in immigration court, as the Obama administration often did. They say that’s cheaper and more humane than long-term detention for large numbers of asylum-seekers, mostly women and children, who are fleeing violence in Central America. But President Trump has strongly criticized what he and conservative critics call “catch and release,” which refers to the practice of releasing immigrants to live in the U.S. until their court hearings. Trump argues that once immigrants are released into society, “nobody ever comes back” for their court dates. But Immigration and Customs Enforcement statistics show that nearly every immigrant with “alternatives to detention,” such as GPS ankle monitors, does show up to court. 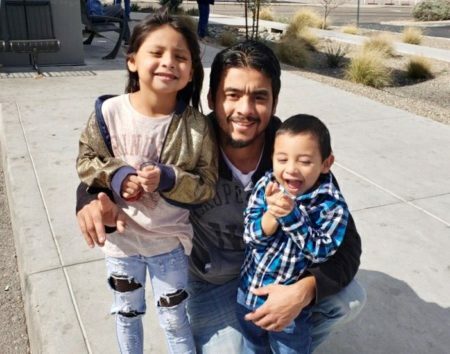 It’s unclear how long migrant families would be detained on military bases. Immigration authorities can’t detain children for longer than 20 days in jail-like settings, under what’s known as the Flores settlement, a court case that governs the detention of migrant children. The Department of Justice is asking a judge to lift that limit, while the administration has called on Congress to do the same. One Flores settlement provision says that reasonable efforts must be made to place minors in the geographic area where the majority of the migrants are apprehended. The U.S. official said DHS has asked that bases where migrants are held be “a short bus ride” from the border, within 250 miles.